Forum Home - > General > Native Life > Native Issues Contact Information - complete or not? This listing may not be complete. 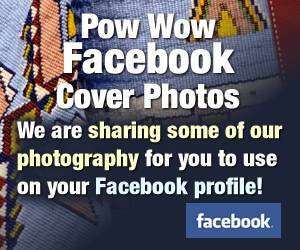 Is your Nation, Tribe, Band, Reservation, Pueblo or Rancheria listed? If not, please consider adding your contact information. If the information listed below is incomplete, needs to be corrected or updated, please consider posting that information also. N. 14911 Hannahville B1 Rd. 6 River Road, Community Bldg. Last edited by Historian; 10-19-2005 at 04:08 PM..
Waccamaw Siouan Development Assn., Inc.
119 S. Old Pueblo Rd. 10 of your elected Oklahoma leaders are no longer current. Thanks for the tip. However, the tip is of no use to readers, unless we can find out what the updated information might be. Could you post the corrected information? *The Delaware Tribe of Indians (Bartlesville, OK) has technically been absorbed by the Cherokee, Nation and is no longer a federally recognized tribe. This decision is being appealed. Last edited by WhoMe; 10-20-2005 at 09:57 AM.. Thanks for the updates. Though there are several lists available on the net with just the names only of Federally Recognized Tribes/Nations, and though there are numerous individual sources for contact information on each, I have not found a complete and up to date listing anywhere as yet, with contact information as part of a complete listing for general public knowledge. Thought this might be a step in the right direction. Spirit Lake Sioux Tribe - Contact person would now be Myra Pearson not Valentino White. Thank you so much for this valuable information. Really thank you so much. I have been searching for this for months. I miss contacts with people who have this. Now I don't have to call and try and get this info. I beleive once I tried calling an elder and his wife bless her soul got jealous. I didn't want to cause problems so I never called back. Thank you. "Some People don't be lik'n it!!" "THE ABILITY TO BRING ANOTHER LIFE INTO THIS WORLD IS A GOOD ENOUGH ANSWER TO WHY NATIVE WOMEN ARE SO SACRED..."